Gatlin Lowe, Threaded Fasteners, Inc. Will Rodriguez Scholarship Winner. Gatlin graduated from Pace High School, Pace, Florida with a 3.8 GPA . He attained a class rank of 51 out of 452 students. He was a Member of the National Honor Society, Beta Club, Social Studies Academic A-Team and Fellowship of Christian Athletes. Gatlin was Captain of the Varsity Football team in 2016 & 17. he was the recipient of the Soccer Leadership Award and the Pacesetter Award. Gatlin owned and operated Lowe’s Lawns, a premiere landscaping business during high School. Gatlin will attend Florida State University and study Information Technology with a minor in Cyber Security. Morgan Stover, Ken Forging, Inc. Morgan graduated from Edgewood High School, Ashtabula, Ohio with a 4 Point GPA. She ranked number 1 in a class of 122 students. She participated in the Pep/Concert and Marching Band activities and was active with the Soccer and Volleyball teams. In addition to holding several part time jobs, Morgan volunteered in her church Vacation Bible School and Children’s programs. Morgan has not decided on a College Major at this time. She will attend Mount Vernon Nazarene University and take mandatory classes before making a decision on a major course of study. Morgan is currently employed with a major retail chain and plans to work throughout college to fund her education. 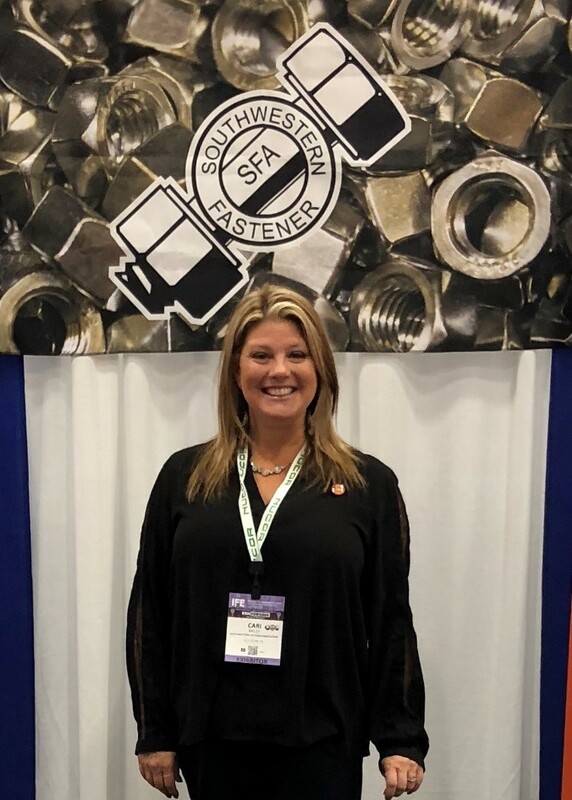 Caroline Slaton - Standard Fasteners. 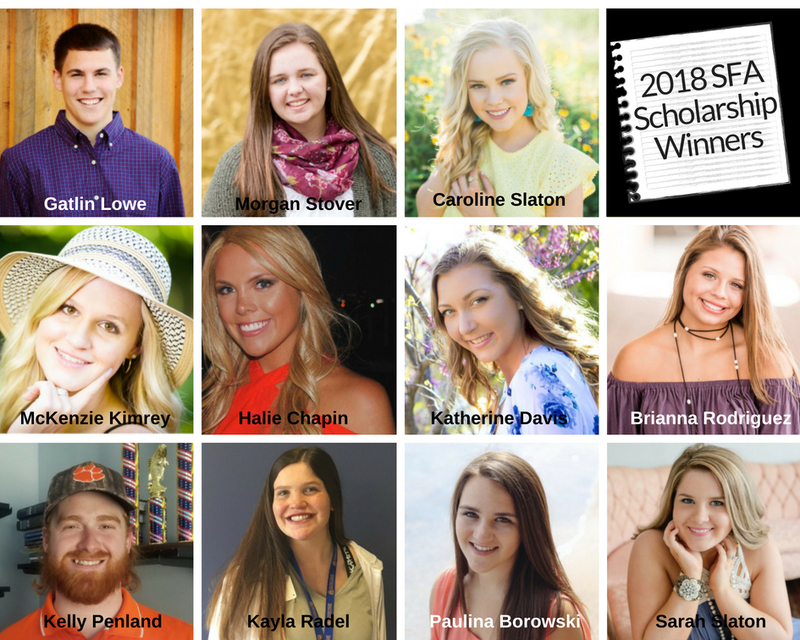 Caroline graduated from Friendswood High School, Friendswood, Texas with a 3.8 GPA. Caroline was very active in many high school activities. She was a member of the National Honor Society, National English Honor Society, National Math Honor Society (Mu Alpha Theta), Student Council, Yearbook Staff Member, High Varsity Soccer and many academic clubs. She was also very active in community service organizations, such as Susan G. Komen Race for the Cure, Kids Meals Houston, Walk to end Alzheimer’s, Math Tutor at Westwood Elementary and a Special Olympics Volunteer. She will attend the University of Arkansas. McKenzie Kimrey, Tifco Industries. McKenzie attends the University of North Carolina @ Wilmington. McKenzie received numerous Honors and Awards while attending Northern Guilford high school. She was a member of the Guilford High School Volleyball team. She has completed college credits in AP Psychology, Honors Anatomy and Physiology and Honors Forensic Science while attending high school. Her goal at UNCW is to obtain a Bachelor of Science in Digital Arts. 2018/19 is the first year this degree will be offered by UNCW and McKenzie is excited to be one of the first to graduate with this degree. Halie Chapin, Advance Components, Inc. Halie begins her final year this Fall at Texas Tech University. In high school, she was a Newman Smith Cheerleader, a member of Future Christians of America and food pantry organizer for Golden Door, a pantry stocked with food that students could take home. She has a 3.58 GPA through her first two years in Lubbock. She will continue her quest this fall for a Bachelor of Science degree in Nursing. Her academic classes has involve a number of demanding science classes and she is confident that she will conquer the challenge with a grade point of 4.0 for the Semester. Her ultimate goal is to continue her education in the field of Science and become a Nurse Practitioner. Katherine Davis, BTM Manufacturing Inc. Kathrine is a 2016 graduate of Blue Springs High School, Blue Springs, Missouri with a 3.8 GPA. She was a member of the school softball team and other school activity groups. She participated in numerous Mission Trips and tutored elementary school students. She will present her application to the professional school of Social Work in the Fulbright College of Arts and Sciences at the University of Arkansas this Fall. Her objective is to obtain a Master’s Degree in Social Work. Her goal is to obtain a job with an agency whose main focus is children in the foster care system. Brianna Rodriguez, Southwest Bolt LLC. Brianna graduated from Cypress Ranch High School, Cypress, Texas with a 6.43 GPA on a 6 point scale. Brianna was a member of the National Honor Society and on the Honor Roll in High School. She participated in the Fellowship of Christian Athletes, Key Club, Cy-Ranch JV Soccer Team, and Health Occupations Students of America . She is a volunteer at North Cypress Medical Center and at events at Christ the Redeemer Catholic Church. She will enroll at Texas A&M this fall, majoring in Allied Health. Her ultimate goal is to become a Labor and Delivery RN, with aspirations of continuing her studies to earn a Physicians Assistance accreditation. Kelly Penland. Eurolink FSS. Kelly is a graduate of Paul M. Dorman High School, Roebuck, South Carolina with a 3.74 GPA. Kelly took numerous AP Courses. Kelly was active in the Beta Club and a member of the National Honors Society. Kelly has enrolled at Clemson University this fall to pursue a degree in Engineering. He is plans to specialize in Aerospace/Aeronautical Engineering. His goal is to assist in the development of machines that will permit exploration and travel past our small home planet. Kayla Radel, Solution Industries. Kayla graduated from Berea-Midpark High School with a 3.5 GPA. Kayla was active in Key Club, Student Council, a Student Ambassador, participated in Ronald McDonald House Teens Who’s Serve Program, served as a Student Teacher at Brook Park Memorial and was active in the school softball program. Kayla is enrolled at Norte Dame College, South Euclid, Ohio. She plans to pursue a career in the Medical Field. Kayla was born with a congenital heart defect, Hypoplastic Left Heart Syndrome, which means she was born with half a heart. She has endured three open heart surgeries, numerous hospital stays and doctor appointments. She is currently CPR and OSHA certified. Kayla’s goal is to become a neonatal nurse and/or a pediatric nurse. She wants to demonstrate that miracles do happen because she is living proof of that miracle. Paulina Borowski. Greenslade and Company. Paulina graduated from Burleson High School ranked number 1 out of a class of 370 students. She achieved a 4.494 GPA on a 5 Point Scale. She participated in UIL Band and Musical Competitions. She was editor of the school’s TV show and worked on other Audio/Visual project. At the University of Southern California, she is majoring in Business of Cinematic Arts. She chose USC because of their reputation as being the best Cinema School in the United States that would provide her the tools to become a successful film Producer. Sarah Slaton, Standard Fasteners. Sarah is a graduate of Friendswood High School with a 3.96 GPA. She was a Class Officer each year, active in cheerleading activities, participated in the Peer Assistance and Leadership program, Best Buddies and Bay Area Young Life programs. Sarah’s academic excellence and volunteer efforts has carried over to her years at the University of Texas. She has a 3.66 GPA pursuing a Bachelor of Science and Art in Human Development and Family Sciences. Following graduation in May, Sarah will take the medical school entrance exam in her goal of becoming a Neonatologist or an Obstetrician that deals with high-risk pregnancies and deliveries.